The past few days have neatly summed up the scale and nature of the challenges facing India’s agriculture sector. First, the provisional agriculture census 2015-16 showed that landholdings have continued their decades-long trend of fragmentation, leading to a further rise in the proportion of small and marginal farmers. Then, 30,000 farmers, who had started their march from Uttarakhand last month, reached the national capital on Tuesday, demanding various relief measures. As a real world demonstration of the challenges posed by farm fragmentation, it could not have been better timed. When the census, carried out every five years, started in 1970-71, it had reported that India had 71 million landholdings. These have more than doubled now to 146 million. Over 86% of cultivated farmland is held by small and marginal farmers who own less than two hectares, while only 0.57% farmers hold 10 hectares or more. Consequently, the average size of operational holdings has more than halved since the first census—from 2.28 hectares to 1.08 hectares. Farmers consigned to subsistence farming by this fragmentation—that is, the vast majority of them—are unable to generate enough surplus for the investment needed to improve productivity. This is widely accepted. But the policy approach to the problem depends on how the specifics are diagnosed. In his famous 1962 The Economic Weekly (later renamed to the Economic and Political Weekly) article, “An aspect of Indian agriculture”, Amartya Sen had argued that small farms have higher per-acre output. A number of economists in the 1960s and 1970s drew similar conclusions. Ramesh Chand, P.A. Lakshmi Prasanna and Aruna Singh had presented an intriguing update of this argument in 2011 in Farm size and productivity: Understanding the strengths of smallholders and improving their livelihoods. 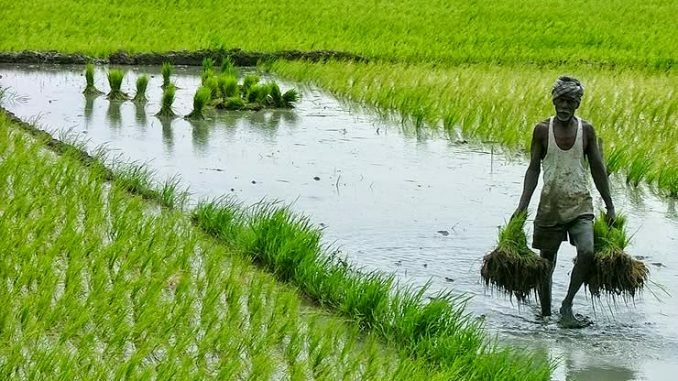 Cobbling together data from the National Sample Survey Organisation, agriculture census and the Union ministry of agriculture’s input survey, they found that the inverse relationship between farm size and per-hectare agricultural productivity still holds. Andrew D. Foster and Mark R. Rosensweig backed this up last year, studying village-level survey data on farms to find that productivity actually follows a U-shaped distribution curve. While intermediate sized farms, which have to spend resources on wage labour are less productive than small farms, which get by on family labour, farms larger than a certain threshold are more productive than even the most productive small farms. The landowners have the necessary resources for economies of scale to kick in. This has several policy implications. Promoting cooperative farming, for instance, will allow small and marginal farmers to take the advantage of their family labour. Corporate farming, meanwhile, could allow economies of scale to kick in at lower thresholds. The trickiest issue is improving land-man ratio. Urban growth with economic opportunities that will attract rural migrants is one way. But the evidence of the past few decades shows that India’s urban areas are ill-equipped to deal with the inflow. The rise of the proportion of non-farm income in small and marginal farmers’ earnings points to the other possibility. Rural construction and industrialization are important supplementary sources of income. In a NITI Aayog paper last year, Ramesh Chand, S.K. Srivastava and Jaspal Singh pointed out that while these sectors have seen considerable growth, rural industrial employment hasn’t budged in the past few decades. Solving this puzzle could help move rural workers to more productive sectors full time, while simultaneously boosting per-capita farm productivity. This could have useful secondary effects as well. Rising wages due to more productive non-farm rural employment could make larger and more mechanized farms the increasingly more efficient option. The exact policy mix will vary from state to state. Crop and landholding patterns vary widely, after all. Nagaland, with an average operational land holding size of 5.06 hectares, will need a very different approach from Kerala which averages 0.18 hectares. But they—and every other state—have one thing in common. Loan waivers and electricity subsidies are band-aids at best. A deeper transformation is needed.